Anon Asked: "What is Leafeon's favorite flower or plant? 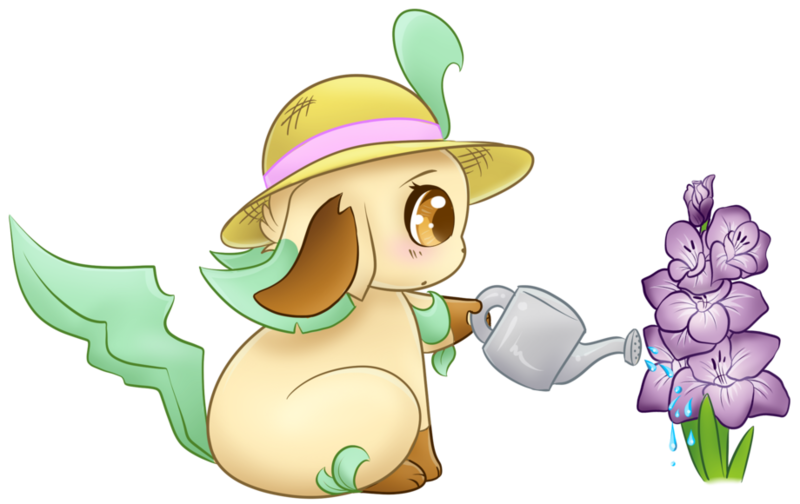 ^^"
Leafeon Response by Watering a Gladiolus. Fan Art for :iconthe-eevee-kingdom: of Vaporeon the Guard and Sylveon the Baker. Support my art with Patreon!